Monday or Wednesday departures from Heathrow, Gatwick, Manchester, and Newcastle. Edinburgh via Heathrow. Friday departures from Manchester, Glasgow or East Midlands. We can amend the duration on the Red Sea, please enquire. Half Board option on the Red Sea is also available. Flights from UK to Luxor return. 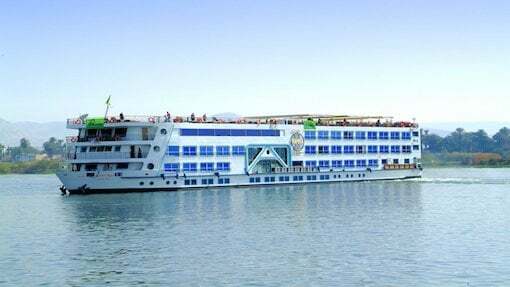 NILE CRUISE BOATS & HOTELS - Quality you can trust. Choose from our luxury collection below of 5* Deluxe Nile cruise boats and hotels on the Red Sea Riviera. Breakfast on board and sail to Luxor. In the afternoon visit the East Bank and Luxor Temple. Originally, the temple was joined to Karnak by a long avenue of Sphinxes, many of which are still able to be seen today. Followed by a visit to the world's largest greatest open air museum known as Karnak, which covers a large area of land and includes several temples, the largest of them being the Temple of Amun. Overnight in Luxor. Breakfast followed by checkout and transfer to the hotel of your choice on the Red Sea for a 7 night stay. Relax on the wonderous Red Sea with clear blue waters, golden beaches and Luxury Hotels. Transfer from Luxor airport to the Cruise boat takes approx. 20 minutes. The road transfer from Luxor to Hurghada takes approx. 4 hours and Luxor to El Gouna takes approx. 4.5 hours.